In the previous video I showed you the basic principles of horizontal support and resistance. 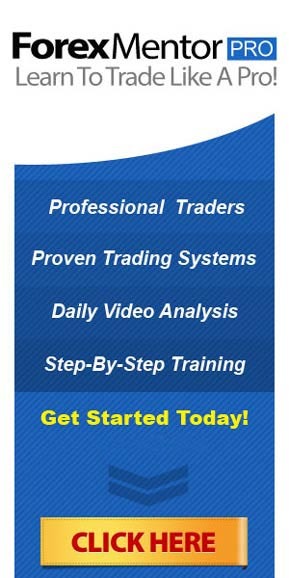 This is the 3rd video in this forex training course. I will show you how to use this key fx trading skill to find entries for potential winning trades and how to avoid losing trades. The first goal in forex trading is to not lose money or at the very least minimise losses. This of course is easier said than done. But careful money management (which will be covered in more detail at a later date) is key to your ultimate success or failure. In technical trading strategy, the goal is to try and locate areas where the majority of other traders are also looking. The markets are driven by human emotions, of which fear and greed beginning the most quoted. Traders who have bought or sold and are currently winning, are looking for areas that price is likely to stop, pause or reverse, at which point they will close their trades to bank profits. Equally major institutions who are holding surplus amounts of a particular currency will want to maximise their profits. Many new forex traders fail to grasp the concept that currencies are simply a commodity. Its the same as buying coffee, coal or even clothing. Everything has a perceived value (current price). Those holding stocks of a particular commodity or currency want to sell at the highest possible price. Potential buyers wish to do so at the lowest. A good example of this was that in 2012 gold came up to the amazing price of $2000 an ounce. Imagine you had bought gold at $1000, $1300, $1700 an ounce and had made paper profits of large amounts. As price nears the big area, you start to get nervous. What do you do? Paper profits are worthless. The only way to bank those profits is to sell (more experienced traders can use fx to hedge but we will leave that until a later date). Huge numbers of people in similar circumstances become aware and equally start to panic and gold dropped like a stone. Eventually this surplus gold was bought and equilibrium (then current price) stabilised. This is what is happening every day in the currency markets. One of the major areas that price is likely to stop are these horizontal support and resistance lines as other traders all around the globe are looking in the same areas and it becomes a self fulfilling prophecy. Gold at $2000 an ounce, the Aussie Dollar at $1.00 and Canadian @ $1.00 (which I show in this next video). These are obvious areas, but they only come along very rarely. You therefore need to be able to spot other areas that traders will be looking at.